Following the lead of the powerboat industry, which has been offering low-speed maneuvering and docking systems for some time (pod drives and thrusters in various combinations), sailboat builder Beneteau introduced Dock & Go, a "revolutionary innovation to dock your boat with complete confidence." Dock & Go will be available for spring 2011 deliveries as an option on models with Yanmar 75-hp SD engines, such as the new Sense (a 50-footer), Oceanis 46 and Oceanis 50. The first unit will be shown in the North American market Oct. 7-11 at the U.S. 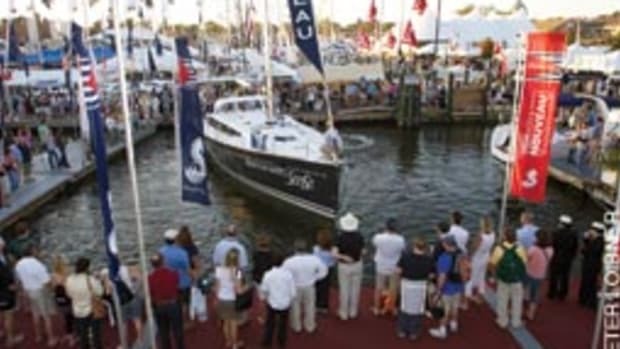 Sailboat show in Annapolis, Md.